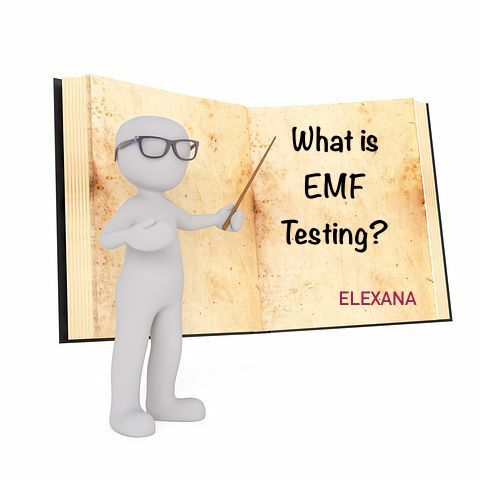 An EMF Testing is a non-invasive assessment of the electromagnetic fields present within a residential or commercial property. It involves a systematic method of measuring and recording non-ionic radiation emanating from the Earth and various human-made technologies. Measurements are monitored and recorded during a relatively brief moment in time or data-logged over a longer designated period. 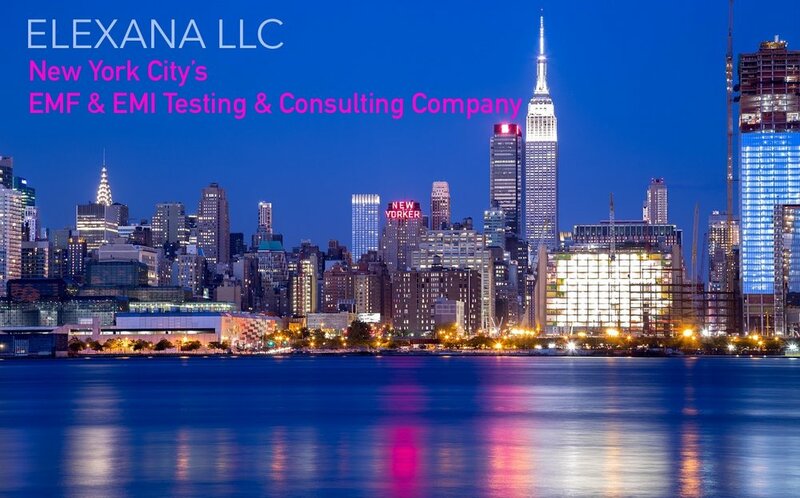 What is included in our EMF Testing and Consulting Premium Service? The EMFs in your residence or office space are recorded and measured with professional calibrated monitors. You’ll receive a consultation for effective remediation solutions. You’ll receive an EMF Report that includes additional free or low-cost recommendations for remediation including a variety of links and discount offers. Included may be notes for your electrician, your plumber, your building management, and your local power and telecom companies. You’ll receive helpful knowledge, through clear demonstrations, that we believe will help improve your health. You’ll receive an included complimentary phone consultation to discuss the EMF report and address your questions. We’ll help you with the language needed to successfully communicate with your various service providers. If you forget something, just call us, again, complimentary. We are here to help. electrical distribution feeder cables in walls, conduits, and more. What is our procedure for testing EMF in your home and work place? The first thing we test is your equipment ground for integrity. That’s the bottom 3rd prong socket in your wall outlet receptacle, (see the photo to your left.) We measure to see if there is a voltage and/or current on your ground conductor and measure the frequency band. (We can do this without even removing the outlet receptacle plate cover.) We are the only company that provides this service. We check all of your GFCI (Ground Fault Circuit Interrupters) for correct polarity, for open grounds, for ground-to-neutral proportion, and over-all proper function. If a GFCI doesn’t function correctly, a shock could be lethal. We can check all of this without removing the outlet receptacle plate cover! We measure the entire EMF spectrum from the DC magnetic fields naturally occurring from the Earth through to all of the man-made artificial electromagnetism. We do all this with the best hand-held monitors and analyzers in the world. We measure the EMI ELECTROMAGNETIC INTERFERENCE. (There are many terms for EMI - others are: "DIRTY ELECTRICITY"/HIGH FREQUENCY VOLTAGE TRANSIENTS / THD TOTAL HARMONIC DISTORTION, and more.) We measure the EMI on the the HOT (Black) wire in your outlet receptacle. What sets us apart from the rest is that we also measure the EMI that is in the air and that is actually on your skin. Yes, we measure the frequency of the EMI, its voltage and current! We are the only company that provides this service. We measure the AC VOLTAGE, AC CURRENT, AND AC FREQUENCY on your skin and we measure your epidermal DC VOLTAGE and DC CURRENT. This is the electricity that is taxing your adrenal glands while you are trying to sleep or at your computer workstation making you exhausted. We’ll work to get these levels lowered. We are the only company that provides this service. We measure the THREE-DIMENSION POTENTIAL-FREE AC ELECTRIC FIELDS: the 60 Hertz E field and corresponding harmonics that are in the air that surrounds you while you are in your home or office. Only Building Biologists® with the EMRS training are doing this! ..and, we are the only company in NYC with this training. We measure the STRAY NEIGHBORHOOD VOLTAGE/CURRENT: magnetic fields coming into your home from outside sources such as ungrounded cable, water works, transmission line stray voltage, and more. We propose various solutions and our strategic partners fix these issues. We measure the TEMPERATURES on home electrical wiring using THERMAL IMAGING TESTING, if we recognize a magnetic field caused by a possible wiring error. Wire temperatures will increase when there is a build-up of electromagnetism due to wiring errors, damaged wires, loose connections, and more. Yes. This testing will help prevent a house fire and is part of our New York Electrical Safety Program which we founded with our friends at Einstein Electrical Corporation. We measure the EMFs emitted by your home appliances, power tools, computers, electronics, lamps, lighting, modems, WiFi extenders, Alexa, cordless phones, smart phones, iWatch, smart TV’s, security system RF, solar power convertor ELF, wind turbine convertors, air purifiers, air conditioning, electric water heaters, and more. We can show how any of these effect your heart rate, blood-oxygen level, your DC voltage and DC current. We are the only company that provides this service. We measure the DC Magnetic Fields with a DC magnetometer made for the aerospace industry. Earth’s energy can magnify your bed frame and bed springs, cause structural weaknesses in a building, compromise your auto-immune system, cause insomnia, and more. We are the only company that provides this service. We’ll make sure your RF SHIELDING Swiss Shield bed canopies are properly installed. We’ll measure the EFFECTIVENESS of any EMF shielding and “EMF blocking” devices you may have purchased. We’ll provide tips on how to lessen DC electrostatic energy. Static electricity is what causes those shocks when you remove your winter scarf or open your curtains. This is not a good thing if you have a pace-maker or a heart condition. We have developed a new application that adds to the effectiveness of our EMF remediation work and greatly improves your health. We call it the Galileo Protocol™. Older PostWhat is Electron Health / EMF Health?